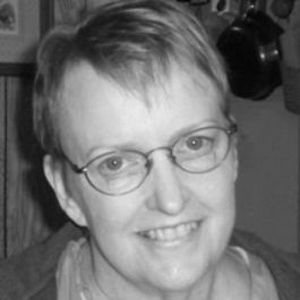 Dana Lynn Hutson, 57, passed away Monday, Dec. 1, 2008. Dana was born Jan. 26, 1951, in Houston to J.S. "Buddy" and Agnes Hutson. She worked for the Department of Housing and Urban Development for 20 years. Dana was an adoring mother, grandmother, great-grandmother, sister and friend. She will be missed by her loving family. Survivors: Sons, Jeffrey Castillo and wife, Stayce, and Tracy Castillo; sisters, Cheryl Hutson-Spell and Winnie Hershewe; brothers, Mike Hutson and wife, Donna, Warren Hutson and wife, Teresa, and Don Hutson and wife, Elaine; grandson, Joseph Brown; granddaughter, Sarah Rosales; great-grandson, Aiden Rosales; and many loving relatives and friends. Service: 12:30 p.m. Thursday at Laurel Land Chapel of Chimes. Interment: Laurel Land Memorial Park of Fort Worth. Visitation: 6 to 8 p.m. Wednesday at Laurel Land Funeral Home. Memorials: In lieu of flowers, donations may be made to Susan G. Komen for the Cure, attn: Gift Management Services, 5005 LBJ Freeway, Suite 250, Dallas, Texas 75244, or a charity of your choice. What can I say about Dana? I adored her from afar in class and she was so, so shy that I just couldn't bring myself to approach her since I was exactly the opposite type of personality. Finally, I mustered enough courage to ask her out to a "kind of a date" at a small party at a friend's house (Ted Harp). I could be wrong about the attendees but if it was the usual crowd that I was around it was probably Ted, Steve Payne, Jimmy Orr, Jerry Swint and their dates. I don't remember if Cynthia Slaughter or Heather Haynes were there or not but both were friends with Ted and Steve. Dana was just the sweetest girl and we tried to pry her shyness out of her all evening but, alas, we were all a complete failure at that. I recall that Dana and I were supposed to be in the kitchen making salad to go with the pizza order and I tried to open a jar of imported kumquats (I didn't even know what kumquats were, growing up off Morningside Drive and not Tanglewood) and I spilled kumquat juice all over the both of us. Smooth move, Rick! Needless to say, Dana realized that I was just not her type of guy and she was very kind in declining my future attempts to date her again and make amends for my klutzy kumquat adventure on our first date. Nonetheless, I always loved and admired her quiet beauty and elegance. I hope she finally forgave me and will give me another chance in Heaven someday to be a better salad chef. Bless you, Dana, from a lifelong admirer.